Apparently the sewer diving industry is alive and well in Mexico. A SIX-MILE trip through deadly gases in the North Outfall sewer in Los Angeles, Calif., was made by Rufus Brown, assistant superintendent of sewers. The hazardous trip was made to determine the condition of the tunnel walls which had been exposed to the sewer’s powerful erosive gases since 1922. It was the first inspection trip ever made of the interior of a main sewer line. 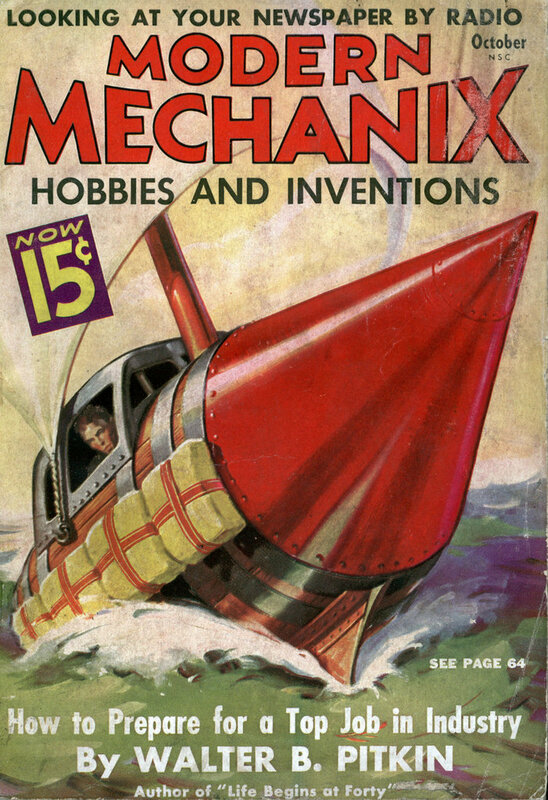 A special unsinkable skiff that was propelled by the swift flow of the sewer stream was used. It carried special lights, a two-way radio, a camera and photoflood bulbs. Heavily insulated electric wiring was used to offset the possibility of a spark causing an explosion of the sewer gases. Brown wore a rubber suit fitted with an oxygen mask and a two-hour oxygen supply tank. 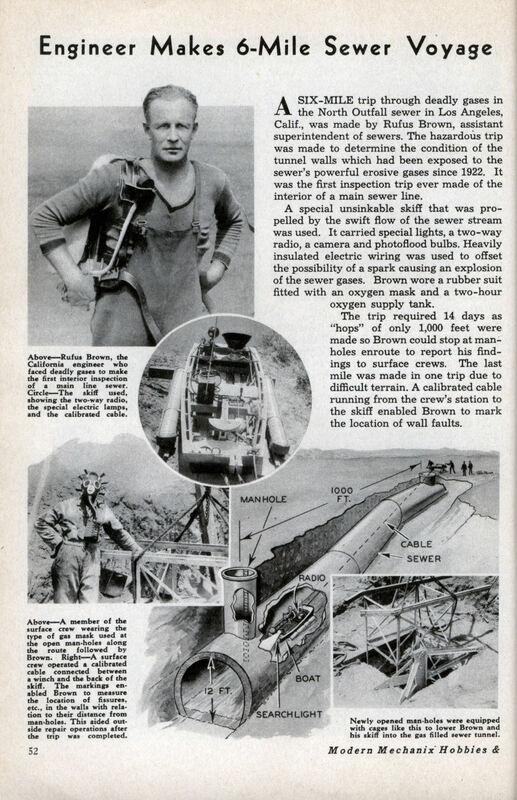 The trip required 14 days as “hops” of only 1,000 feet were made so Brown could stop at manholes enroute to report his findings to surface crews. The last mile was made in one trip due to difficult terrain. A calibrated cable running from the crew’s station to the skiff enabled Brown to mark the location of wall faults.